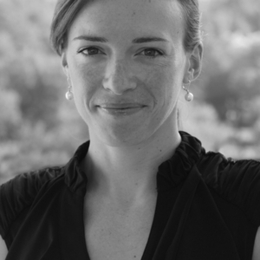 Jessica Jackley is a co-founder of Kiva.org, the world's first peer-to-peer online microlending website. Kiva lets internet users lend as little as $25 to specific developing world entrepreneurs, providing affordable capital to help them start or expand a small business. Kiva has been one of the fastest-growing social benefit websites in history, connecting hundreds of thousands of people through lending across over 150 countries. Jessica first saw the power, beauty, and dignity of microfinance while working in rural East Africa with microenterprise development nonprofit Village Enterprise Fund on impact evaluation and program development. Sector-agnostic about social change, Jessica has worked for public, nonprofit, and private organizations including the Stanford Center for Social Innovation, Amazon.com, Potentia Media, the International Foundation, World Vision, and others. Jessica's work with Kiva has been featured in a wide array of media and press including Oprah, the Today Show, CNN, BBC, NBC, ABC, PBS, NPR, the WSJ, NYTimes, the Economist, and more. Jessica speaks widely on microfinance and social entrepreneurship, and serves as a director on several boards related to microenterprise development, including Opportunity International. Jessica is a trained yoga instructor, avid surfer, and poet.